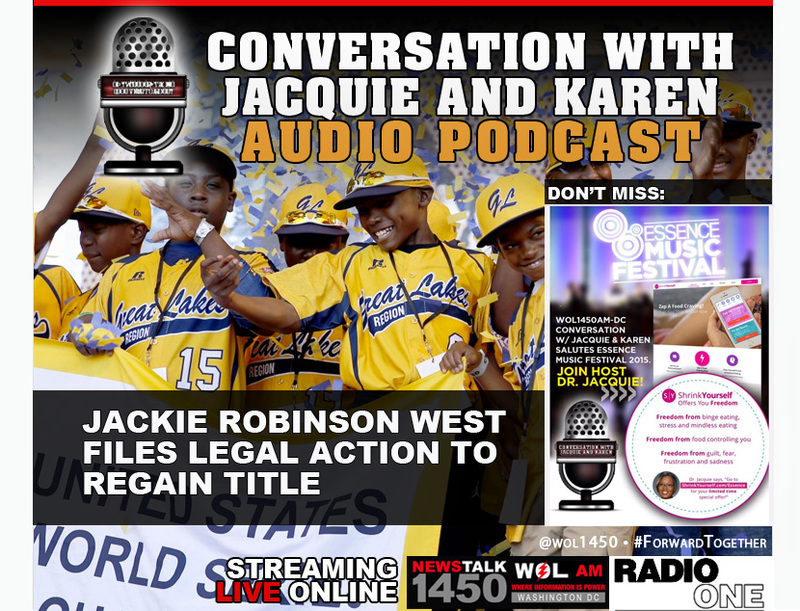 This week on the Conversation with Jacquie and Karen Audio Podcast: Glenn M. Harston II, spokesperson forJackie Robinson West Little League and Attorney Victor Henderson discuss the lawsuit filed by JRW officials to against Little League International. The suit filed by JRW is aimed at forcing Little League International to release all documentation used to reach the decision to strip Jackie Robinson West of its U.S. championship. Jacquie and Karen discuss President Barack Obama’s eulogy of slain South Carolina State Sen. Clementa Pinckney. Plus, get ready for Essence Fest 2015 and join Dr. Jacquie this weekend for a special Shrink Yourself offer. You’ve been there, you’ve done that. The endless diets, weight loss products and unused gym memberships. The self-help seminars and books. You’ve resorted to pills, even contemplated surgery. You’ve tried them all and nothing has worked. All that and more in this edition of the Conversation with Jacquie and Karen Audio Podcast.